Aquaman is King and his rule now reaches beyond Atlantis to cover all DC movies. James Wan’s oceanic epic has earned $1.091B worldwide, passing The Dark Knight Rises ($1.085B) as the highest-grossing film ever based on a DC character. We are in a new age. This is the first time a non-Batman film has been DC’s global champion in nearly 30 years. 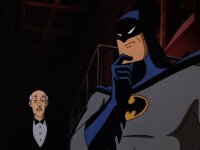 Tim Burton’s Batman ($411.3M) took the top spot from Superman ($300.2M) in 1989 and wasn’t topped until The Dark Knight ($1.003B) in 2008, which was dethroned by The Dark Knight Rises in 2012. Aquaman may be the new worldwide king, but Batman isn’t giving up his domestic crown just yet. Aquaman ($316.6M) has no shot at catching the North American totals of Rises ($448.1M) or The Dark Knight ($533.3M). Outside of DC, Aquaman ranks third all-time for solo superhero movies. It trails only Black Panther ($1.347B)) and Iron Man 3 ($1.215B) worldwide. That Black Panther immediately topped every solo Marvel film and Aquaman surpassed every DC film points to a changing of the guard at the box office. The standing assumptions that Batman is DC’s most popular character while Marvel’s is Spider-Man or Iron Man can be called into question. Those characters might still be on top when looking at the bigger picture (comics, merchandise, etc. ), but the rookies are ruling movie theaters. Globally, moviegoers are embracing fresh faces with no concern as to how much they know or care about a title character ahead of time. The lack of familiarity is becoming an advantage when it was once thought to be a hindrance. None of this accounts for inflation, the expansion of international markets, and the increase in premium theaters like IMAX and Dolby Cinema. Regardless, the official rankings don’t fall into the over-simplified trap of balancing an equation composed of several variables by solving for just one, or a couple. Superhero-based movies continue to evolve, including which heroes generate the most ticket sales. Warner Bros. must recognize this, considering the studio’s abundance of patience for Matt Reeves’ Batman movie. Batman can afford to take a break while Aquaman and Wonder Woman lead DC Films in the immediate future.